San Luis Obispo, to the gringo linguist, doesn’t exactly roll trippingly off the tongue. The most common response following a reply to the where-are-you-from question is this: “Oh … where is that?” or “Is that in South America?” That was the way it used to be, at least, before SLO was christened “The Happiest Town in America” by the ubiquitous Lady Oprah of the Winfreys, the maven of good cheer. So why not take her cue? Perhaps the time has come to change the name of this charming hamlet nestled in the foothills of the headlands of the Central Coast, which is chock full of happy people. We need a genuinely descriptive handle that tags our fun-loving (but not frivolous) villagers as the good-hearted, contented people we know ourselves to be. It shouldn’t declare our characteristically high spirits smugly, but make public our considerable pride in being such pleasantly chipper folks. Now, with all due respect to Bishop Louis—who by most accounts was not known for his infectious belly-laugh—San Luis Obispo, no matter what flourish you may give the pronunciation, just doesn’t say Happy! 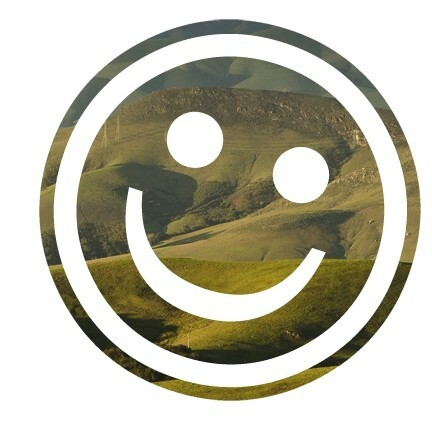 Let’s change the name to Happiness, CA 93401: It’s the perfect appellation. Happiness, Calif., rings of civic pride and brimming optimism—we are here and we are HAPPY! Deal with it. The pursuit of happiness is, after all, our right as Americans, right? So all of those on The Road to Happiness* now have an actual destination; they no longer have to chase that elusive cheerfulness that we here in Happiness have in abundance! The Winfrey bump, it should be noted, illustrated our temperate climate, varied and picturesque geography, and downtown charm. But the centerpiece (in the off-chance you missed the show) was the convenience offered the wine tourist. Yes, friends, you can relax in a quaint bed-and-breakfast, and be delivered to and from as many wineries per day as you can handle. For weeks if you wish! Now that’s Happiness for you! However, that said, we need to remind ourselves to make it clear that while we are asking everyone to “Come on down!” we must include the legal disclaimer that they won’t be able to stay. We absolutely can’t mislead those among the miserable or just bored that permanent bliss awaits them here in Happiness. That would be wrong. And it would make us unhappy, just the over-crowding. Quite self-defeating. Nonetheless, temporary elation is better than none. And it’s much better than being on that damn road all the time. Of course there is one other caveat: We should make clear the requirement that our grumpy visitors bring money. To which some wags among them will surely reply, “But we thought money couldn’t buy happiness.” To which we must respond with assurance that the original saying included the word permanent before happiness. And that money can indeed buy them a very good time here in Happiness. Guaranteed, with the footnote that your euphoria may vary. * Not (speaking of footnotes) to be confused with The Road to Happiness, by Yew-Kwang Ng and Siang Ng, Department of Economics, Monash University, Australia, and Department of Applied Economics, Nanyang Technological University, Singapore. I’ll bet old Ah Louis had that same attitude. Hmmm … suddenly I’m hungry for Chinese, and just knowing I can hop over to Mee Heng Low for a quick noodle fix, that does make me exuberant. And several local breweries! Maybe SLO is the true Hotel California after all; the state of mind we sometimes achieve simply by arriving. This is it, this is the place. You’re checked in, and you ain’t leaving. Happy days. Todd Rafferty is happily busy co-curating (with Brian Lawler) an exhibit at the SLO Museum of Art: The Achievers—The Art of Engineering, through June 12. Send comments via the opinion editor at econnolly@newtimesslo.com.